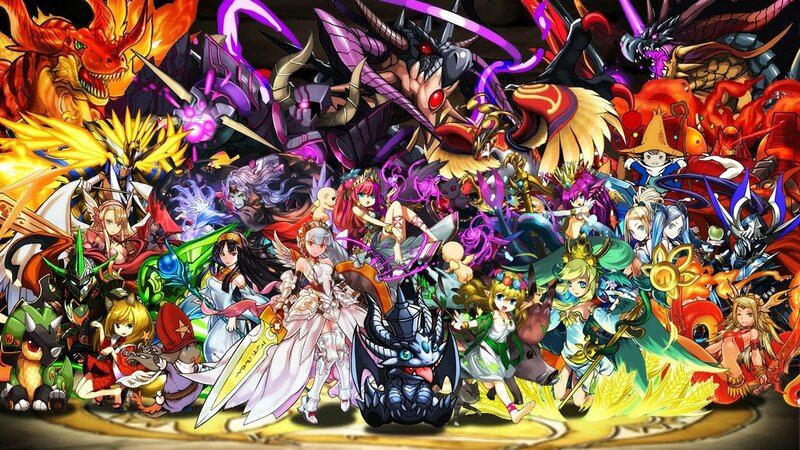 Puzzle & Dragons, the free-to-play puzzle/RPG mashup from developer GungHo Online, has been a fan favorite for years not just for its polished gameplay but for its willingness to appease fans from all walks of gaming. Toward this end, the developers have announced yet another collaboration with Square Enix that will see 28 Final Fantasy-based characters being introduced into the game, including instantly-recognizable characters like Cloud, Zidane, and Auron, as well as four characters that have never before been featured in the game. Players rocking up to the egg machine in Puzzle & Dragons will now have a chance to spawn a number of iconic Final Fantasy characters, including Tidus, Sephiroth, Cecil, Tifa, Terra, Vivi, and even Lightning, who herself is currently being featured in a new story-based expansion to Mobius Final Fantasy. Most of the 28 characters being offered in-game have been seen before, but players will also be able to grab one of the game's four new characters, including six star character Balthier, five star characters Yda and Prompto, and the four star duo Reynn and Lann. In addition to new characters, the latest update to Puzzle & Dragons will feature five new dungeons and two new floors that are designed for teams of four or less characters. Completion of these new levels will offer up the chance to nab the rare Pixelit material, which will allow players to transform specific characters into their Pixel Ultimate Evolutions. There are other rare goodies on offer as well, particularly from the new Gift from Moogles and Fat Chocobo's Gift dungeons. Do keep in mind that these Final Fantasy characters won't be sticking around for long, as they're set to disappear from Puzzle & Dragons on Sunday, September 24. Looking for more great free-to-play action? We've got an assortment of our favorite freebie titles for both iOS and Android featured on our list of the Best Free To Play Games.